Last week, the United States unveiled a $255 million new home for the American Institute of Taiwan — Washington's de facto embassy in Taipei. While the move angered Beijing, it was an outlier. Outside of Washington, President Xi Jinping's hardline approach to Taiwan is getting results. The big picture: China is chipping away at Taipei's legitimacy on the international stage by pressuring companies and foreign countries to stop treating the self-governing island as a sovereign nation — and Beijing has the economic leverage to pull it off. Taipei wants to keep doing business with American companies and does not want to become a pawn in the U.S.-China trade fight, Shihoko Goto, a Northeast Asia expert at the Wilson Center, tells Axios. At the unveiling of the Institute's new building last week, which was attended by Taiwan's President Tsai Ing-Wen, Kin Moy, an American diplomat and the head of the Institute, said “I offer you this, a tangible symbol that the United States is here to stay." In response, a spokesperson for China's Foreign Ministry said, “The U.S., by sending officials to Taiwan under whatever pretext, severely violates the one-China principle and three China-U.S. joint communiques, interferes in China’s internal affairs and exerts negative impact on China-U.S. relations." China has rebuked — and even boycotted — American companies that acknowledge Taiwan, a practice that White House Press Secretary Sarah Sanders has called "Orwellian nonsense." But China's enormous market leverage pushes companies to bend to its will. The Chinese government asked 36 international airlines in April to list "Taiwan, China" as the destination for Taiwan. Though some carriers have complied, U.S. officials told United and American not to make the changes, according to the Financial Times. Retailer Gap angered Beijing by printing a map of mainland China, without Taiwan, on T-Shirts. The company apologized and said it would conduct an internal investigation to "correct the error." China fined Muji, a Japanese retailer, after it put coat hangers in packaging that said "Country of Origin: Taiwan," reports CNN Money. The Chinese version of hotel chain Marriott's website was shut down for a week because it listed Taiwan as a country. Marriott deleted references to Taiwan to comply with China's wishes. Delta Air Lines and Zara did the same to their websites, per Business Insider. There are currently only 18 countries, none of them major powers, that have official diplomatic relations with Taiwan — and that number keeps dwindling under Xi. "It really boils down to economic aid," says Goto. China can dangle foreign investment in exchange for cutting ties, and Taipei will never be able to match what China can offer, she says. 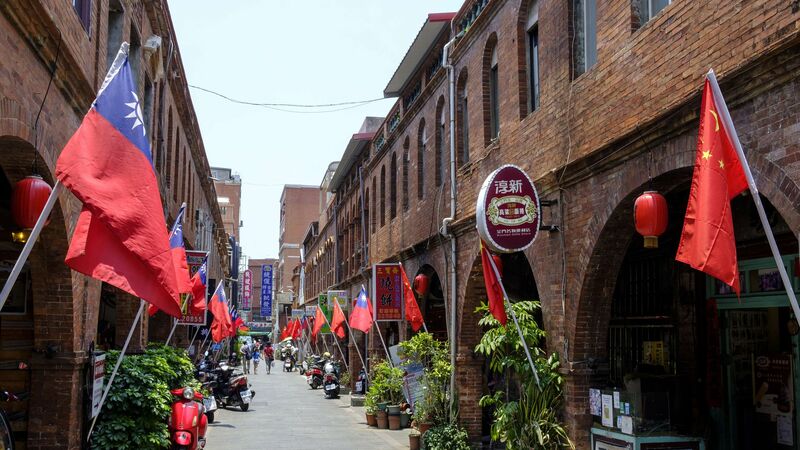 Just this year, Panama, Burkina Faso and the Dominican Republic all severed official relations with Taipei — a big blow to Taiwan's sense of national identity and pride, Goto says. One holdout: CNN reports that China can't seem to flip Swaziland, which remains loyal to Taiwan after decades of cultural exchanges.